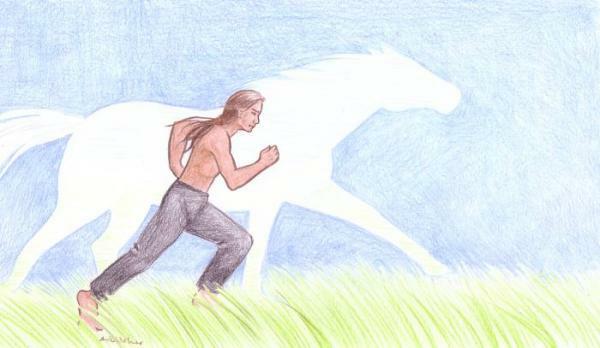 This is the second time I drew a kinda ghostly horse as part of an exchange image in that community. Bit of practise getting the shapes kinda-right, without worrying about the inside structures. And it made sense both times! XD Drawn on an A4 sheet using colourpencils only.